A New Jersey jury awarded a verdict of $10.2 million in a medical malpractice case against an oral surgeon whose negligence resulted in the death of his patient. With interest, the total verdict will exceed $12 million. The verdict was achieved by New Jersey medical malpractice lawyer David Mazie, who is considered one of New Jersey's best trial lawyers in the areas of professional malpractice, wrongful death, personal injury, auto accidents, and class action lawsuits. On March 6, 2009, a jury awarded a verdict of $10.2 million in favor of the family of Francis Keller of Hopelawn New Jersey against the defendant, Perth Amboy oral surgeon Dr. George Flugrad. 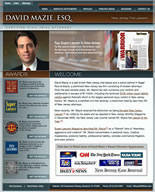 Keller v. Flugrad, Superior Court of New Jersey, Law Division, Middlesex County, Docket No. : MID-L-5140-06. With interest, the total verdict will exceed $12 million. It is believed that this is the largest oral surgery medical malpractice verdict in New Jersey history and one of the largest in the nation's history. The medical malpractice case arose as a result of Mr. Keller dying after Dr. Flugrad extracted his wisdom teeth on August 4, 2005. The jury found that Dr. Flugrad committed malpractice by extracting the wisdom teeth despite knowing that Francis had an immunity disorder which precluded any surgery or other dental work. When Francis woke up the next morning, he began to have trouble breathing when his throat swelled in a reaction to the surgery. Francis, who was 21-years-old, ultimately suffocated to death in front of his mother, Helen Keller and sister, Marirose Keller. 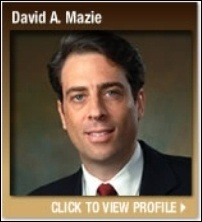 New Jersey medical malpractice lawyer David Mazie is a seasoned New Jersey personal injury lawyer with a resume that includes numerous multi-million dollar jury verdicts and settlements. 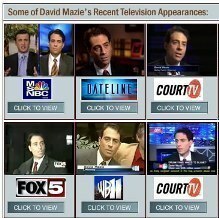 A certified civil trial attorney and senior partner in Mazie Slater Katz & Freeman, one of New Jersey's leading trial law firms, Mr. Mazie devotes his practice to handling significant personal injury claims resulting from medical malpractice, wrongful death, toxic torts, and class actions. Victims of serious medical malpractice accidents or family members who have suffered the loss of a loved one are welcome to contact New Jersey wrongful death lawyer David Mazie for a free consultation and case review. All New Jersey personal injury cases are handled on a contingent basis, meaning there is no fee charged to clients unless Mr. Mazie successfully recovers money. Results are not guaranteed and may vary depending upon the particular circumstances.